First published in 1985 this remarkable book has stood both the test of time and peer review, to become a classic amongst specialists in the human origin subjects. 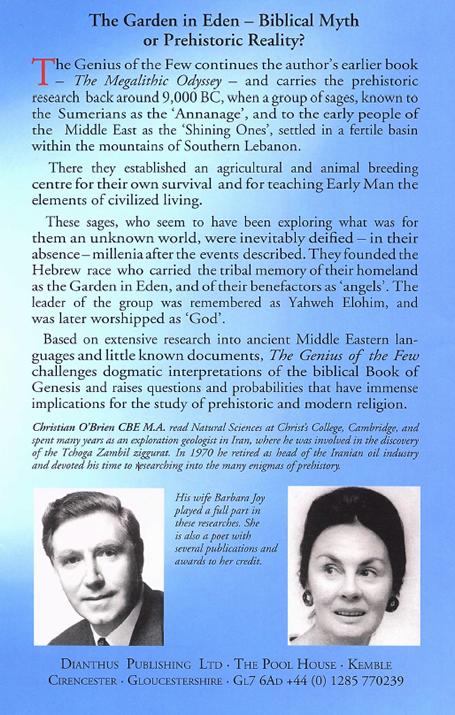 As archaeological science has broadened its base, to cover many new and exciting disciplines, it is primarily the solid evidence on the origins and spread of agriculture and pastoralism, genetics and language, which take us with some confidence with the O'Briens to Southern Lebanon before 8,000 BC. Here we can identify our distant relatives, who delivered from elsewhere a comprehensive agricultural package and much more, which transformed our planet and the lives of its inhabitants. We have added to the appendix three important sections from the recent major compilation of the O'Briens' research, entitled the Shining Ones, which cover an Alternative Genesis, the enigma of the Phastos disc and the Universal Measuring Rod. This evidence adds weight to the findings within The Genius of the Few, yet still keeps within the constraints of an easy-to-read and enjoyable detective story covering our origins. Only during the reign of Queen Victoria did the knowledge and interest in the great Sumerian civilization begin to be revealed from the archaeological evidence, which included precisely inscribed 'cuneifrom' text (wedge shaped lines) on thousands of clay tablets recovered from the remains of the ruined libraries of a cultured and ordered society, which was in full flower more than 2000 years before the old testament bible stories were compiled between 850 BC and 550 BC. 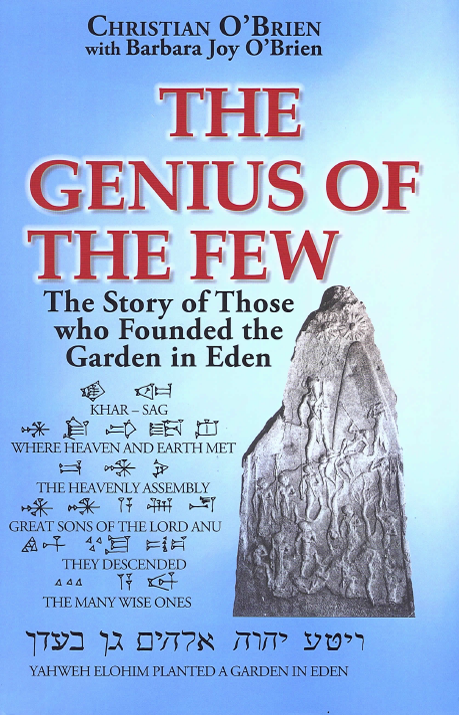 Some ancient historians did refer to the Elohim by name, but we have never been sure who was responsible for the spectacular agricultural production, monumental structures and the resulting highly organised city states, which would now appear to have existed throughout the fertile crescent and as far back as 8,000 BC at Jericho and Baalbek. It is now known that commercial accounting tokens or tablets go back to these earliest dates. Translating the cuneiform, which had changed from simple pictorial signs with an associated phonetic sound, then turned on its side to become elaborate texts supervised by professional scribes, has presented problems. Single words often have more than one meaning depending upon the context in which they are used. Up to now some of the more solid information we have from the later Assyrian records indicate that there was a small group of wise sages called the ab-kar-llu, who passed down their wisdom to subsequent generations. 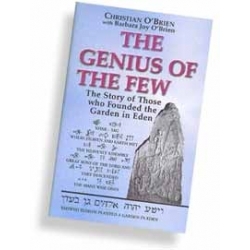 The linguistic roots and phonetic sounds of the name Elohim, these sages and that of the more commonly recognised angel en-ge-li offer several logical and linked interpretations. These words mean, respectively, the bright or shining ones (gods), the bright or shining farmers from the enclosure or garden, and the shining countenanced lords of the cultivation. Many of the earliest biblical names end in el, the common root of bright or shining and also meaning singular god or lord, but the first part of the name probably denoted their role rather than the individual within a highly organised group displaying advanced technical and administrative skills.